The arrest of three foreigners in connection with a case relating to possession of satellite phones once again goes on to show the lacklustre approach many have towards the Indian law. Three persons were arrested at Jalpaiguri in west Bengal for possessing satellite phones and were charged with violation under the Indian Wireless Telegraph Act 1933, Indian Telegraph Act 1885, the Indian Penal Code and the Foreigners Order of 1948. There is a clear rule in India which bans the use of satellite phones and even if foreigners coming in with valid documents permitting them to carry such phones, the Indian authorities reserve the right to deny them such permissions. There are a host of issues that our agencies face when a satellite phone is used in India. In case it is being used for terrorism related activities, it is extremely difficult for the agencies to track the same real time. Moreover, getting the records is another problem as it would depend entirely on the country’s satellite through which the phones have been linked. India is still coming to terms with scanning the internet and call data, and at such a juncture, it is an extremely difficult job to track satellite phones. 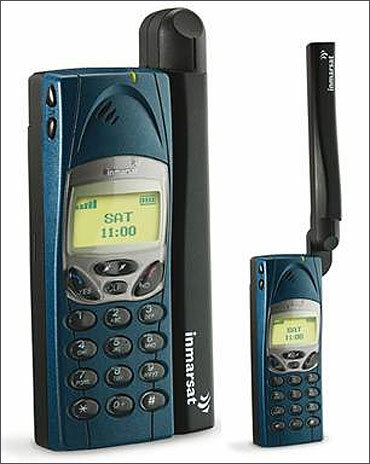 A satellite phone connects to satellites unlike the normal cell phone which is connected to the terrestrial mobile sites. They bypass the local telecom system which means the agencies are unable to track the conversation. It also hinders any wiretapping attempt as a result of which it is completely not accessible to any sort of tapping or even tracking. Further it also interferes with the signals that are picked up at the army stations and also by intelligence agencies. There have been instances to show that it also interferes with the normal police signals. In the case of the foreigners from Britain, Germany and Belgium, it was found that none of them had valid permits to carry the phones. Although there has been nothing shady found on them, the fact remains that they have violated a clearly written Indian law. Indian rules have become even more stringent post the 26/11 attacks where it was found most of the communication from Pakistan was done on a satellite phone and the Indian agencies could not intercept any of the calls. Use of the satellite phone violates Section 4 of the Indian telegraph act of 1885. As per the rule, anyone wishing to carry a satellite phone into India, need to first obtain a licence. The same ought to be furnished before the jurisdictional police. These persons are also required to furnish a declaration to the custom officials in which they need to mention the brand, serial number and part number of the phone. When persons with satellite phones land in India, the mandate is that the phone is first seized by the customs. Only after they obtain a licence from the department of telecommunications, can they clan claim their phones back. After these procedures are done, then the Indian authorities normally rope in Tata Communications as the phone would be linked to their satellite. Considering this is an in-house service for India, it is easier to keep a tab on the use of the satellite phone. Officials say that despite so many checks and balances, it is quite surprising how they manage to smuggle such phones past the airport. In many cases, it has been found that the customs did not check the baggage properly. Custom officials are well aware of the rules but despite that in many cases, those carrying in the phones have told them they would obtain permission once out of the airport. The use of any telegraph services/ devices including wireless is regulated by the Indian Telegraph Act, 1885. As per existing guidelines issued by Department of Telecommunications, INMARSAT Satphones excluding BGAN system can be used by the government, corporate houses, members of mountaineering expeditions and other such categories with prior permission from the DoT. It may be noted that Thuraya Satphone service is not permitted in India. Anyone using a satellite phone without prior permission of DoT violates the Indian Telegraph Act and can be penalised under that Act. Moreover, such phone being brought in baggage/hand baggage are liable to confiscation/detention in the absence of a license from the DoT. The No Objection Certificate for carrying a satphone into India is issued by the DoT on a case by case basis. A national of Israel wishing to carry an INMARSAT terminal into India should apply for NOC to the CS Cell, DoT, Room No.1204, Sanchar Bhawan, 20 Ashoka Road, New Delhi-110 001. A copy of such application may also be sent to Embassy of India (Consular Wing). Details of the procedure can be obtained from the DoT website.